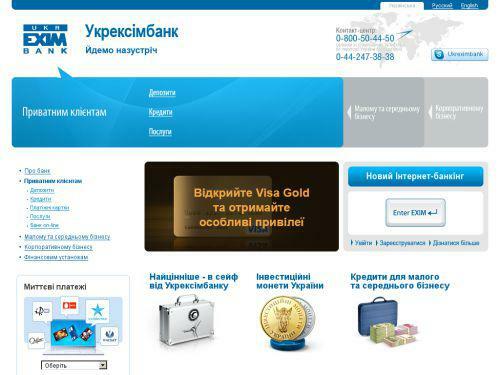 The official website of the State Export-Import Bank of Ukraine "Ukreximbank". Information for private customers, deposits, loans, payment cards, bank, Bank on-line. Services for small and medium businesses, corporate banking, financial institutions.